This film is a biographical documentary about the founders of Google, and Google itself. The need for Google was clear, as search results of the old days turned up lots of worthless trash results. Google fulfilled a need, which we would agree, has made the internet friendly, navigable, and highly useful. The last time we checked, Google receives nearly 5 billion search queries per day. The first public offering of shares in Google, which occurred in August of 2004 raised nearly 1.7 billion dollars making Google worth 23$ billion Dollars US at the time. Larry Page and Sergey Brin are both sons of college professors, and are also both Stanford drop-outs. Both of these men are multi billionaires. 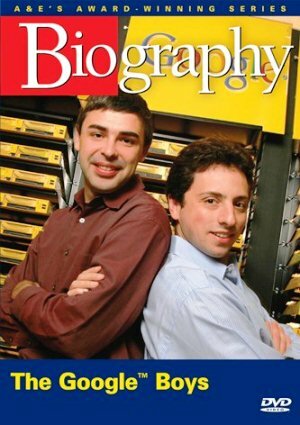 The goal of Larry Page and Sergey Brin was to make the world’s information searchable and instantly accessible. When Google came along, it cleaned up and cleared up the internet. The search engine has done everything from improve healthcare to making research and study, on any subject, as simple as a key press. One of the key differences between Google and Yahoo Search was that Yahoo focused on using manpower and librarians to categorize information on the web rather than raw computing power as was used by Larry Page and Sergey Brin with the building up of the Google search engine. Microsoft has taken over Yahoo Search and has dreams of competing with Google in search. Larry Page and Sergey Brin tried to sell Google technology to Yahoo, Lycos, Altavista and the other old dinosaurs of search and they told them in response that “search was over” and that their search engines were good enough. Larry Page and Sergey Brin didn’t like each other when they first met. The idea of the search engine was stumbled upon by accident. They had the technology, but didn’t know what to do with it and ended up calling it a search engine. Incoming links, as well as other variables, are used to determine where to rank a site in Google’s search engine. The name Google, was googol misspelled. They rolled with it anyway.